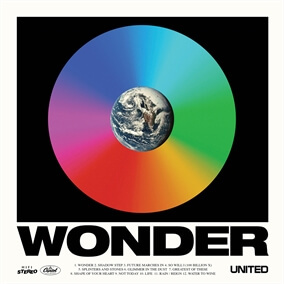 New Single from Hillsong UNITED Now Available - "Shadow Step"
Last week, Hillsong UNITED surprised their fans with an announcement of the pre-order of their 6th studio album Wonder along with the release of two brand new tracks: "Wonder" and "Splinters and Stones." Today, the band has released a third single from the album titled "Shadow Step." This new song reflects upon Jesus' grace and proclaims our faith and a readiness to walk where He leads, following Him in everything. Pre-order your copy of Wonder today on iTunes and you'll receive instant downloads of all three songs and be sure to pick up the Original Master MultiTracks here on MultiTracks.com as you begin to incorporate them into your setlists. Wonder releases worldwide on June 9.